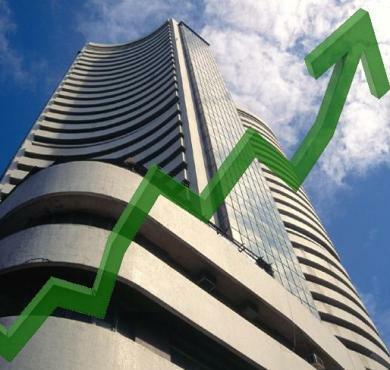 Mumbai: The BSE Sensex and the NSE Nifty soared to hit new all-time high of 26,582.27 and 7,957.70 points in early trade Monday with stocks of healthcare, banking and oil & gas leading the rally on sustained fund inflows amidst a mixed Asian trend. All the sectoral indices were trading in positive zone with gains up to 0.73 percent. The 50-share NSE Nifty also shot up by 44.50 points, or 0.56 percent, to record its all-time high of 7,957.70, crossing previous high of 7,929.05 touched on August 22. Major gainers among the 30 Sensex stocks were SBI, Maruti Suzuki, Dr Reedy, HDFC Ltd, ICICI Bank, Axis Bank, Reliance Ind, ONGC, BHEL, Sun Pharma, TCS and Bharti Airtel, helping the key indices to scale new highs.